If you go to the movies even rarely you’ll probably encounter a comical scene that finds a man and a woman in bed. The husband comes home early, and the guy in bed says, “It’s not what you think it is.” In a similar vein, “Hail Satan?” is “not what you think it is.” You’re thinking that this is one of the kooky cults that literally worship the devil. Instead you’ll find members of the Hail Satan? Fellowship to be a diverse mixture of humanity, some with tattoos and nose rings and ornate jewelry on their chests, others who are as straight as I am, notably a founder and leader of the cult, Lucien Greaves—a Harvard graduate who inspired groups in thirteen American states, in Canada, and in several European countries. If these people do not worship Lucifer, then what’s the point of giving this name to the organization? There is a point, but it’s not a good one. These good folks could have made their mark by “worshipping” a goat (actually they pretend to do just this), an elephant (Ganesh anyone? ), the North Star, the pagan Pan, or anyone but Satan himself (or herself). Now this is the kind of coinage that the Satanists should oppose, yet I suppose they’d given up on trying to abolish the mention of the Deity on money and in government buildings. The Satanic Temple does not believe the Ten Commandments belongs on government land, and courts have for the most part agreed. 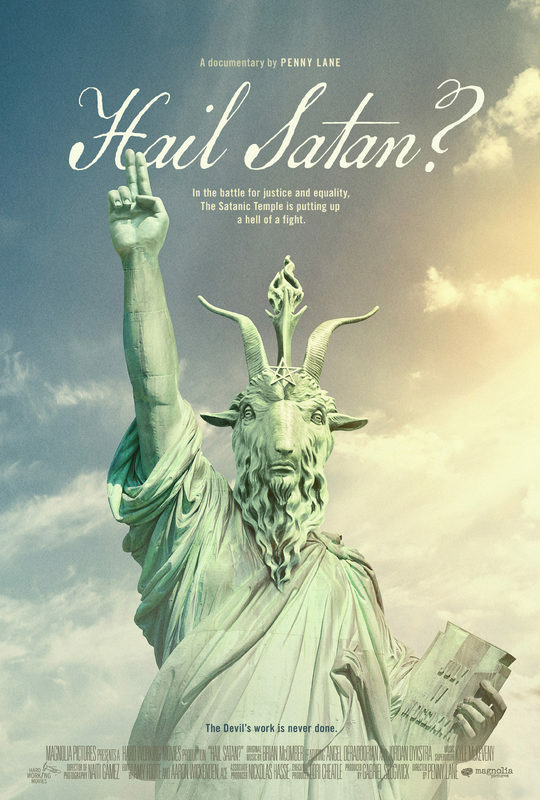 Yet if the State of Arkansas insists on putting the plague by the capital building, then the Satanists do counter with their own statue, one of Baphomet, a half-man/half-goat follower of Satan. Founder Greaves set the group’s monument up only to have to cart it away when the festivities were over. Here they see an opportunity to turn a pro-religion law into their own beliefs. When governor Rick Scott pushed through a bill to permit prayer in Florida schools, the Satanists welcomed this by affirming that students could worship Satan with as much freedom as they would give to God. If you have not realized by now, members of the group are atheists, but people who believe that atheism is either boring or not comprehensive in that this tells you what they do not believe rather than what they do accept. Their tenets include acting with compassion to all creatures, continuing to struggle for justice, asserting the inviolability of our bodies (which makes them pro-choice), respecting the freedom of others including the freedom to offend, using science to test beliefs, acting to rectify mistakes, embracing wisdom and justice over all written and spoken words.